Hm, you're right, it wouldn't be nice to be completely exposed, so he'd better take different measures. I can't read or pronounce Russian either, so... I just figured that if I could work this out, so could others. And if you use a non-latin alphabet/script, google translate does tell you what the word transliterates as (though you might have to fiddle around a bit). Still, you have a point in that I should've added the actual transliteration to the sheet. Thank you for your understanding Spartacus . Shiki-pon i know that in Google translater you can see it in Roman/latin letters but not every Language like i had to find the Hougu names for Goliath like Nih'oshet Shir'yon(Bronce Armor) use a specific Website because in the Google translate there arent any transliterations of Hebrew ,persian and arabic and some others. At all : Please forgive me everyone who i have angered here !! Just wondering, has anyone done a Tarrare sheet? "The fork was never found." Well, it sure wouldn't be hard to put a supernatural spin on that guy. His life is already a freaking horror story. I remember a while ago reading about Leptin deficiency, a rare genetic disorder characterized by pretty much the exact symptoms Tarrare showed (willing to eat anything, constantly obsessed with food, etc). Guy almost certainly had that, although I can't find any direct references to back me up here (probably because the disorder wasn't known about in those days). Certainly an interesting (and freaky) story though. It'd be fun to try giving a Nasuverse explanation for his ailment, like maybe his Origin was awakened (too similar to Lio?) or he was possessed by a Buddhist Hungry Ghost. Long time lurker here, I am actually working on one. It's not finalised, but I think it's as good as it's gonna get. Might as well make it my debut post. Critique would be very much appreciated. Tarrare's unusual body odor. Detectable long before he is, it causes nausea and an urge to vomit in all those who smell it. The ability to consume. At this level, anything can be eaten and turned into magical energy. However, his magical energy is directly turned into his strength, meaning that his stomach can never be filled. His parameters fluctuate based on the amount of “food” consumed. Grants a rank up to his STR parameter. As he is more or less a monster in human form, he possesses this skill at a very high rank. A passive Noble Phantasm that acts as a mental interference type of attack. Using Tarrare's stink as a vector, his unusual appetite and hunger is imposed upon all who can smell him. Even the smallest amount of magic resistance is enough to suppress it, so enemy Servants and Masters will most likely feel no adverse effect besides increased mana consumption and the feeling of an empty stomach. The effect is much stronger on animals and civilians in the surroundings. Even herbivores will become far more aggressive, even attacking humans in their desire for meat. Pets will attack their owners, and humans will suffer from hunger like they have never before. As they try and satisfy it, they only experience brief relief before it return and intensifies. At the same time, a pressure will build up in their minds, creating a certainty that the only thing that can sate them is the flesh of another human being. Should they succumb to this desire and break the greatest taboo, they will experience a transformation into a Wendigo, a cannibalistic Monstrous Beast of human origin. Barely stronger than a normal human at the beginning, their size and strength grows the more they eat, with no upper limit. It is even possible to reach and surpass the level of a Servant. Their hunger cannot be sated, and as everything they consume adds to their body mass, they only become more and more hungry. It is impossible to cure those who reach this stage. Whilst it is possible to create a large and powerful army of monsters through this Noble Phantasm, neither Berserker nor his Master have any direct control over the Wendigos created by it. The man known as Tarrare was a French showman and street performer with a short-lived military career. Suffering from an unusual condition that made him live in constant hunger no matter how much he ate, he earned a living by entertaining on-lookers by swallowing unusual, normally inedible items or vast quantities of regular food to no ill effect. After being accused of cannibalism and the murder of an infant whilst being treated, he disappeared for a period of four years before resurfacing and dying of tubercolosis. This is not that man. To begin with, the person known as Tarrare lacks the qualification to be a Heroic Spirit. He had no achievements or famous exploits. Even his name was likely not his own. He was not a monster or a demon, he was simply a man suffering from a rare disease born in a time that mocked and degraded him for it. This Servant is an amalgamation of Wraiths and legends connected to the concepts of hunger and cannibalism, the most famous being the Native American Wendigo. The reason why the identity and personality of “Tarrare” was selected out of the many possible ones to represent Berserker is unknown. Perhaps the Frenchman did have a connection to the supernatural after all, or maybe he was simply the most compatible choice. Berserker is an apathetic individual whose only concern is his endless quest to fill his stomach. Mad Enhancement has limited his thought processes, but it is unlikely that they were very complex to begin with. Because he used to be a showman and street performer, he has a habit of trying to wow and impress people that persists even under Mad Enhancement. 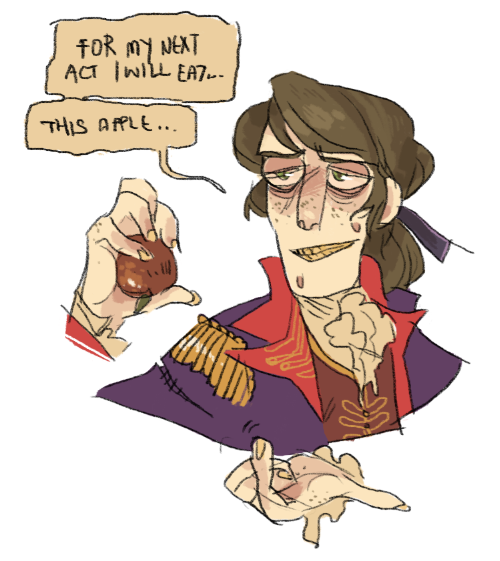 His repertoire is mostly limited to eating unusual items, though he also knows a juggling act - that ends with him swallowing the ball - and a crad trick - that ends with him eating the cards- and similar things. He is easily bribed into obeying his Master through the promise of meat, but the enemy can do the same. He has no resistance to Command Spells and even likes the sensation, as he describes it as "filling". Though he is a cannibal that would eat an infant without a second thought, it would be wrong to consider him “evil”, or even “amoral”. His mentality simply does not allow him to recognise anything as “inedible”. If it exists, it is food. The enemy is food. His master is food. The dishes he eats from are food. The table - and so on. His wish for the Holy Grail would be an everlasting supply of meat – curing his condition would be an impossible thought for Berserker in this state. The food he makes tastes good. Wonders if he tastes good as well. The rival. Even though she is normal, she eats as much as he does. For the first time, Tarrare doesn't want to lose...? Cat tastes good. Wants to eat her. Snake doesn't taste as good. Wants to eat her. Big. Lots of meat. Wants to eat her. Small. Not a lot of meat. Wants to eat her. Metal. No meat at all. Wants to eat her. The expression on his face is that of a man who has found his God. Last edited by SteampunkWolf; April 14th, 2018 at 11:18 AM. Damn, I hadn't even thought about the Consumption Origin, and I watched KnK recently... Thanks for reminding me about it. Last edited by King of Padoru; April 14th, 2018 at 11:34 AM. &Tab;The curses inscribed on the tombs of the Ancient Egyptian pharaohs were directed at those who disturbed their tombs. All deaths of tomb robbers and Egyptologists are attributed to those curses in some way, even if they had nothing to do with them, or even if the person in question died four decades after disturbing the tomb. The most famous curse, the curse of Pharaoh Tutankhamen, invokes the protector-goddess Wadjet to bring suffering to those who would trespass into his tomb. To this end, the winged serpent goddess would kill the interlopers and then capture their souls and force them into eternal servitude as wraith-protectors of the pharaoh’s ka. &Tab;This servant manifests using the record of Lord Carnarvon, a famous amateur Egyptologist, found on the Throne of Heroes. As his spirit was already enslaved by Wadjet, any attempt to summon Lord Carnarvon or any of his fellow cursed peers summons this servant instead. In truth, it is all of these people and none of them; it's true identity is the「Pharaoh's Curse」itself. &Tab;Despite how noble Lord Carnarvon may seem, at least in speech, he is very much Mad Enhanced. His Mad Enhancement, however, stems from the multitude of vengeful voices constantly tearing at the edge of his mind due to having to share his form with every other victim of the curse. Even if his voice sounds fine, his body acts mostly automatically in a way one would expect from a Berserker. 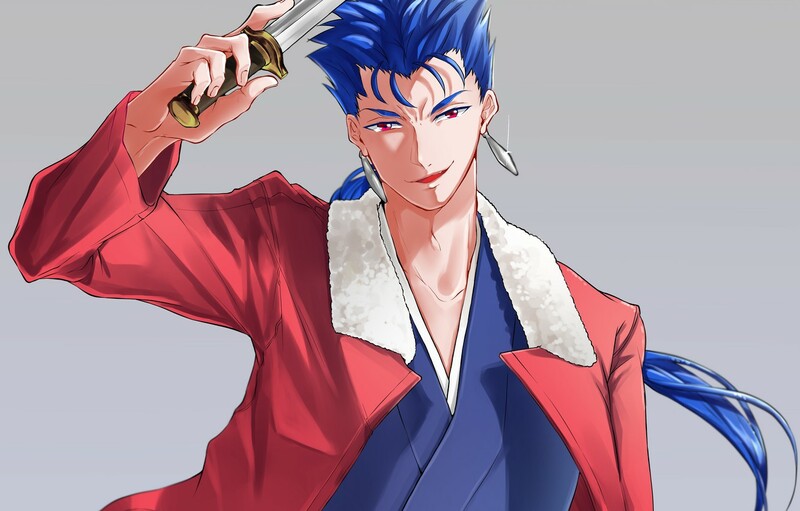 Even as a dominant personality, he is still more of a “spectator.” He has been entrusted with control of the Noble Phantasm Kheryet Deneha, however, so he can forcibly redirect his body if he has to. &Tab;The abysmal E rank Mana stat means that this servant will heavily strain their master unless allowed to “feed” frequently. Thankfully, it does come with a starting “reservoir” of wraiths it can feed off of in a pinch, though this will run out relatively quickly given an eventful Grail War. Additionally, the self-consumption does lower the entity's mass and thus most of its strength. The Noble Phantasm Mekhetwadjet drastically improves the efficiency of how Lord Carnarvon turns souls into usable mana, so the E rank Mana may not be too great a hindrance should he be allowed to feed regularly. A class skill that raises parameters and strengthens physical characteristics, A B rank in this skill provides a rank up for all parameters, but in exchange most sanity is lost. When presented with known enemies of Egypt or with individuals carrying Egyptian artifacts who are not "true" Egyptians, Carnarvon loses all control over himself and the servant receives a massive boost to all parameters. A skill that represents one’s status as a divine spirit. It can break through certain skills like Protection of the Faith or Enlightenment of the Sacred Fig. As a living weapon of the goddess Wadjet, Lord Carnarvon gains some of her divinity. The capacity of a servant to mark a region as his personal dominion by securing the surrounding leylines prior to an engagement. The hieroglyphics that mark his owned territory spread automatically from his body and seize any unowned leylines and overtake those that are already in use. Fighting in his owned territory allows him to spontaneously manifest sandstorms and additionally allows him to use Kheryet Deneha much more frequently. His mana consumption is also lessened in this region. The territorial expansion cannot be blocked entirely, but it can be slowed and/or undone by a proper mage. This skill represents the ability to modify one’s own body or merge one’s flesh with others. Given that he only grows denser and not any larger in size by default, this skill can allow him to further weaponize the mass he gains by consuming others. Granted by his Noble Phantasm, Mekhetwadjet. &Tab;This Noble Phantasm manifests as “the curse of servitude” bolstered by Lord Carnarvon’s lasting legacy as an “archetypal victim of the Pharaoh’s curse”. It represents the amalgamation of every victim attributed to the curse itself. Upon being summoned, Lord Carnarvon contains countless inconsequential souls from bandits and the like, but also the spirits of a few fellow egyptologists and even the shah of a certain country. &Tab;Due to being in Wadjet’s service, Lord Carnarvon himself becomes just another facet of the curse. As such, all of his actions can be attributed as being “as a result of the Pharaoh’s curse.” Any individuals killed by him are “victims of the pharaoh’s curse” and thus become just another part of him. Their personalities, physical mass, magic circuits, abilities, or even Noble Phantasms are subsumed into his spiritual core. It is not a copy of the person, rather, it is the person themselves who become a permanent fixture of his body mass. &Tab;The personality of Lord Carnarvon exists within the maelstrom of voices and acts as a sort of central nexus for other wraiths. Due to being one of the most famous victims of the curse, his wraith has the strongest presence. This grants him the privilege of ejecting other spirits out of the sarcophagus on his back. These are granted bodies of sand, yet still possess the abilities from their waking life. They are mindless, however, and can only follow general commands like “attack” or “go over there.” Once destroyed, they return to the sarcophagus and thus to the chorus of wraiths. As long as he is not the last servant standing, any Heroic Spirits consumed by him will return to the Throne of Heroes. If he should win the war, however, the servants are permanently bound to him unless they are bound to something "stronger" than the goddess Wadjet (Alaya, for example). &Tab;While Lord Carnarvon’s physical parameters don’t give him too much agility, this Noble Phantasm more than makes up for it in terms of pure speed. With this ability, Carnarvon can propel his body forward in a straight line at extreme speeds, effectively turning him into a kinetic energy weapon. Great wings of light manifest from a magic circle behind him which are used less to guide him and more so to violently redirect him in case of a missed shot. While simple, it is very effective given the avenue of surprise, as well as taking into account Lord Carnarvon’s durability. He normally can’t use it more than twice in midair though, which makes it incredibly dangerous if not planned for. Another styled after the official Character Material sheets. This Servant was designed to ruin the Grail War in which he would participate. This Servant was going to be used in an original Grail War (more accurately, the third in a series of Grail Wars), but it's been a couple years and that's not happening. The next few Servants I post will likely be from the same source. He was designed to be part of a breakaway faction of Servants and Masters in an Apocrypha style Grail war. The teams in that War would have fragmented into 4 separate groups of Masters and Servants due to Alliances. This Servant was part of an "Evil Shadowy Organization" faction. @Tarrare: If I have a main criticism, it's that this sheet is more "wendigo" than "Tarrare". You put too much emphasis on the "cannibalism" part considering that he attempted to eat corpses only as a last resort and his NP and Monstrous Strength skill doesn't fit his legend. He had no feat of strength and making him a outright monster instead of a deranged human rob the character of his horror factor. I think you should have made his unnatural hunger itself an anti-self Noble Phantasm instead of a simple skill, since it's his main claim to fame and the "contagious madness" thing has already been done. Maybe you could have had made him be possessed by an actual avatar of hunger? His Stink of Death is fine, but I think it suffer from the general lack of detail in the descriptions. Despite my harshness, this is a pretty nice sheet for a newcomer. Welcome to Create-a-Servant. Thats indeed a Grailwar crusher (like my Goliath)you made there !One Question in the case that the Heroic Spirits have like Gilgamesh or Karna strong Willpower can the take resistence and has his nobel phantasm overtake effect any limitations ? Lord Carnarvon: I really like the concept, not only is a amalgamation of people affected by a curse a really cool idea for a Servant, the though os a Berserker whose mind is fine but simply cannot control his own body is positively horrifying. His second Noble Phantasm seems quite out of place though, is there any justification as to why this mass of cursed beings has a Noble Phantasm that is just a speed blitz? Seems awfully different from the rest of the character. Also, since Carnarvon is the one in control of the mind and voice at least, it would've been nice to get more about how's his personality.